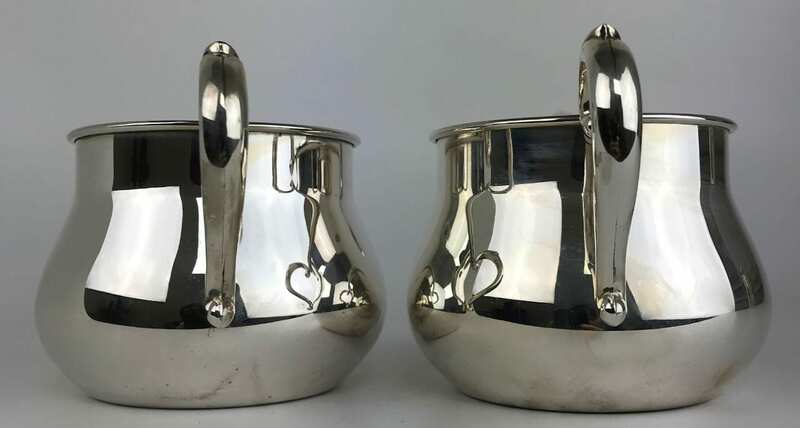 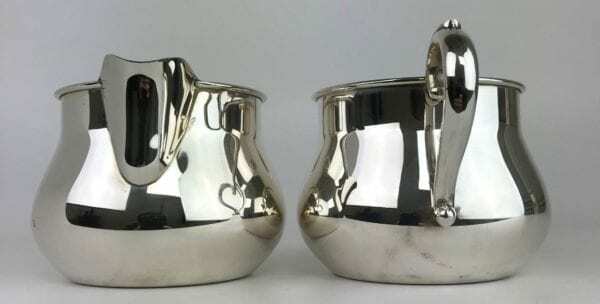 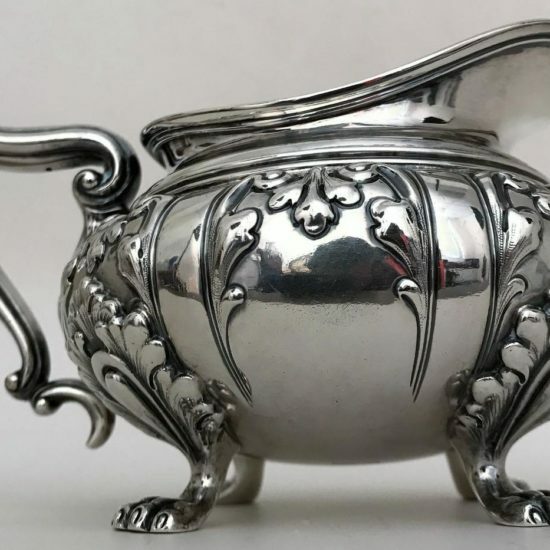 Today we are delighted to offer for sale a lovely pair of Towle sterling silver sugar and creamer! 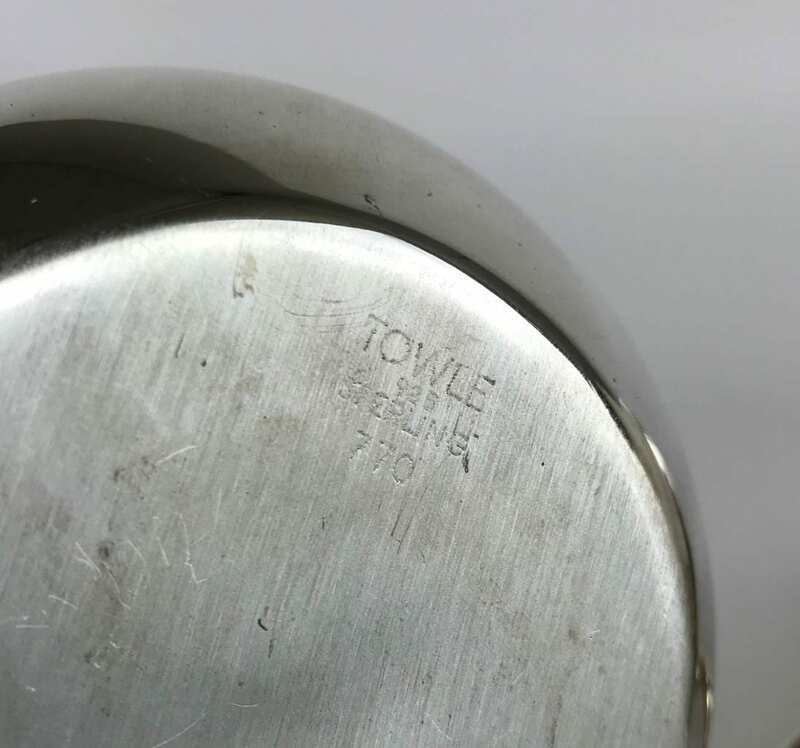 Towle Silversmiths was founded in 1857 and is still in business! This elegant and understated set features streamlined detailing highlighting the beauty of the material. 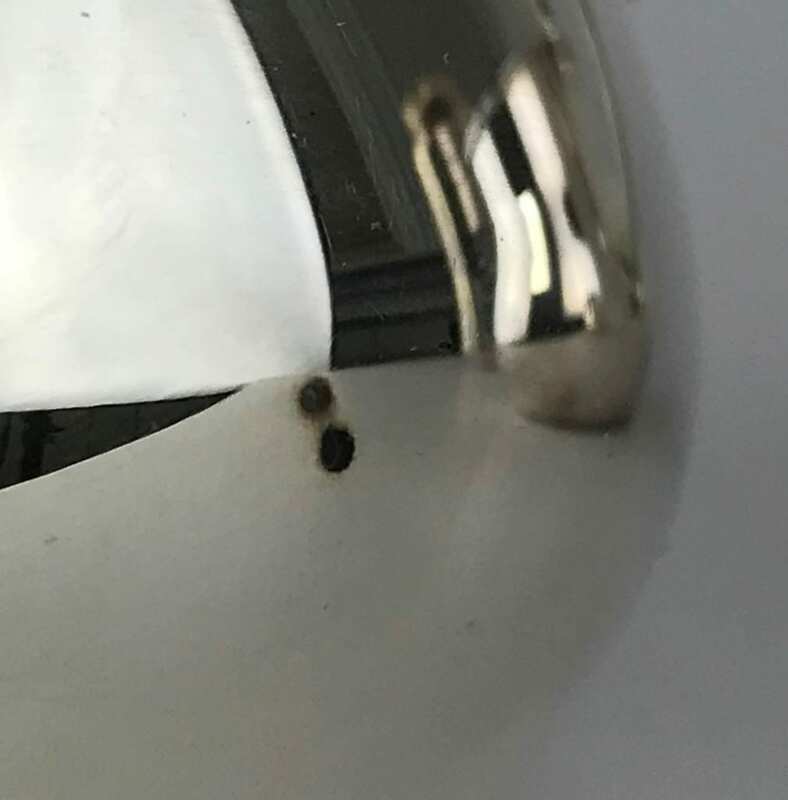 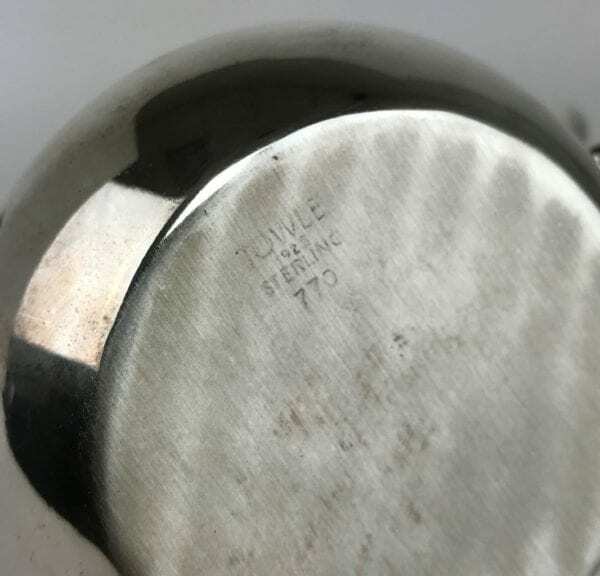 Pieces are marked “Towle 925 Sterling 770”. 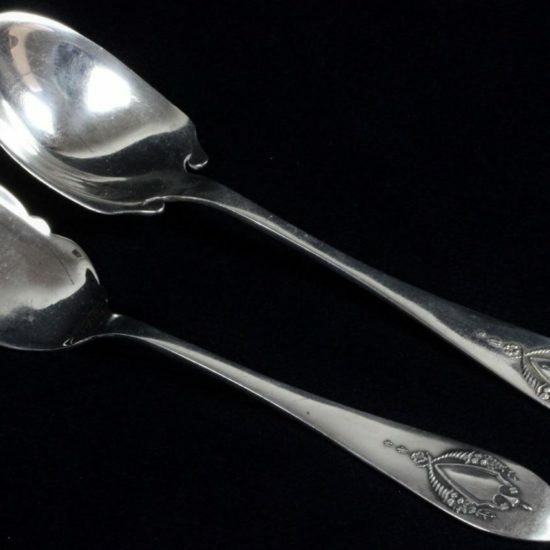 The set is in very good vintage condition, with minor wear/scuffing and tarnishing commensurate with age and type of use. 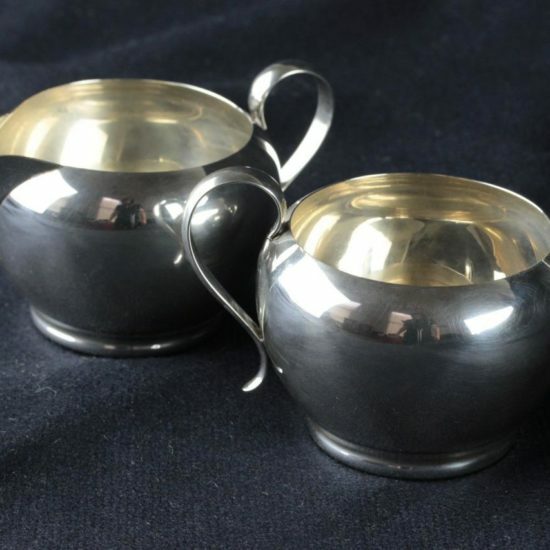 Add grace and style to your sterling silver collection with this set. 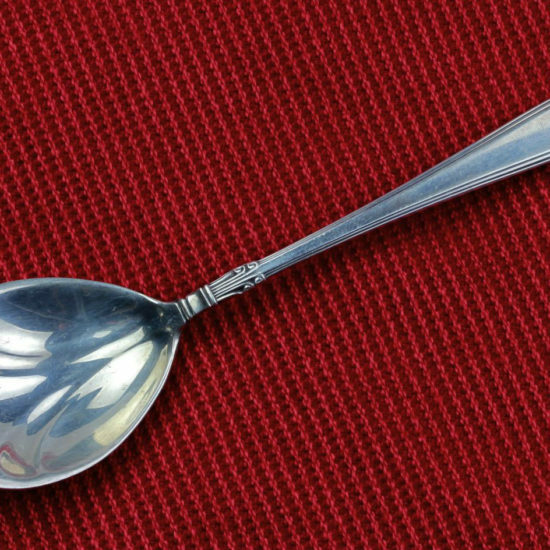 Fresh to the market!